The largest city on Brazil’s north-east coast, Salvador is a major tourist destination and the site of a 56,500-seat stadium being readied for next year’s World Cup. It is also in the grip of an unprecedented wave of violence that has seen murder rates soar by more than 250 per cent. 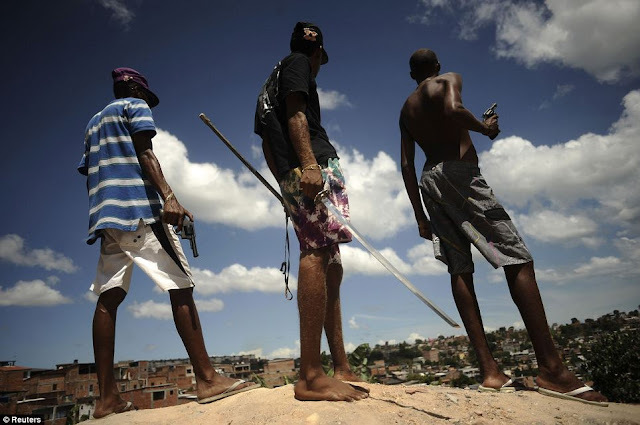 The dense slums of the city, capital of Bahia state, are an impenetrable warren ruled by gangsters, who control the terrified and impoverished residents with intimidations, beatings and summary executions. Express kidnappings, where individuals are abducted and forced to withdraw funds from automated teller machines to secure their release, are common, as are muggings, robberies, pickpocketing, bag snatching and drug dealing. 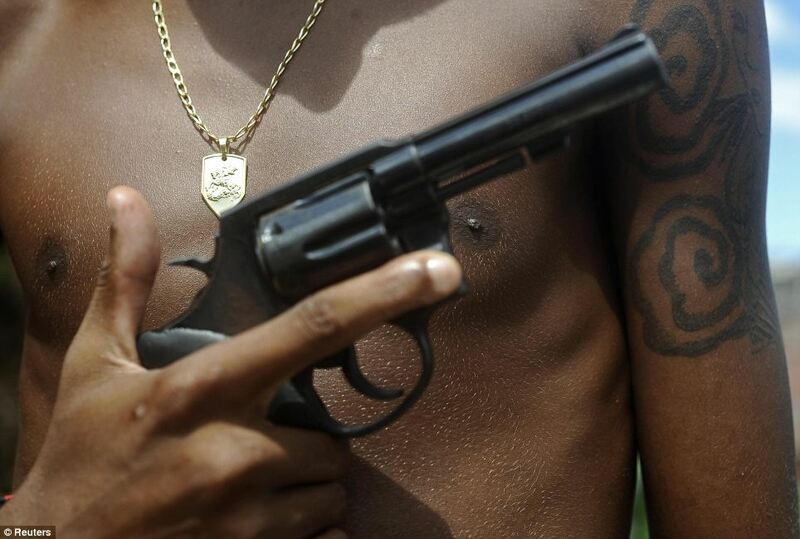 Brazilian drug gangs regularly recruit minors to carry out their dirty work, because they go unpunished. They never get any prison sentences, meaning that the most innocent face can hide a deadly killer. 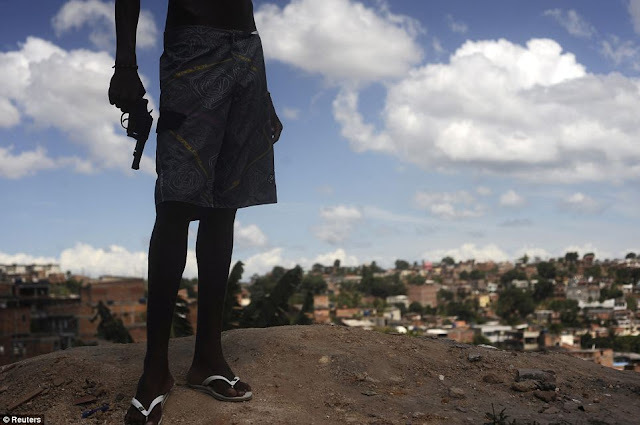 Underage rapists and killers get only “socio-educational” sentences and are freed after completing their 21-year-old birthday, with no criminal history, because Brazil is a signatory to the UN Children Rights Convention. 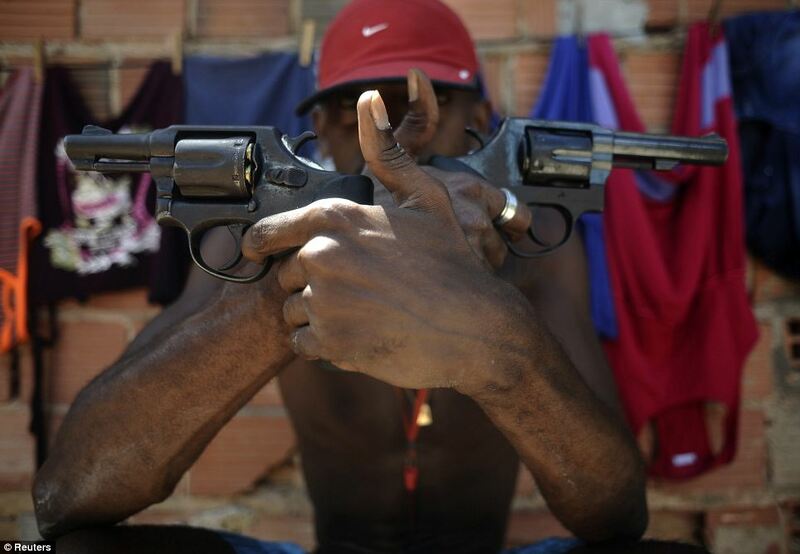 Compounding the problem, under aggressive anti-gun measures from the Brazilian government, most Brazilian citizens have no access to legal weapons to defend themselves, while their victimizers have plenty access to illegal heavy guns. 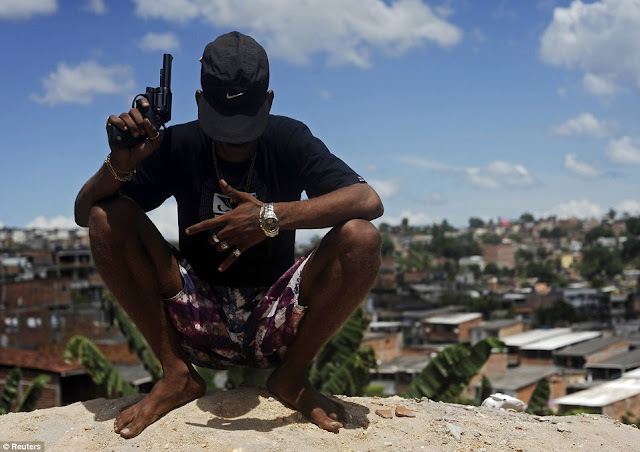 With just over 13 months until the start of the World Cup and an expected mass influx of football fans, police in Salvador face a battle to take control of their city. But in a force notorious for brutality and corruption, they face opposition not only from criminal gangs but also a skeptical populace. These pictures show the brutal reality of life in the streets of Salvador’s slums, which are not much different from Rio and other Brazilian cities. We are in an epidemic of violence and killings in Brazil. Teens may not be arrested even if they commit atrocious crimes. The number of deaths has exceeded the deaths in the civil war in Syria.